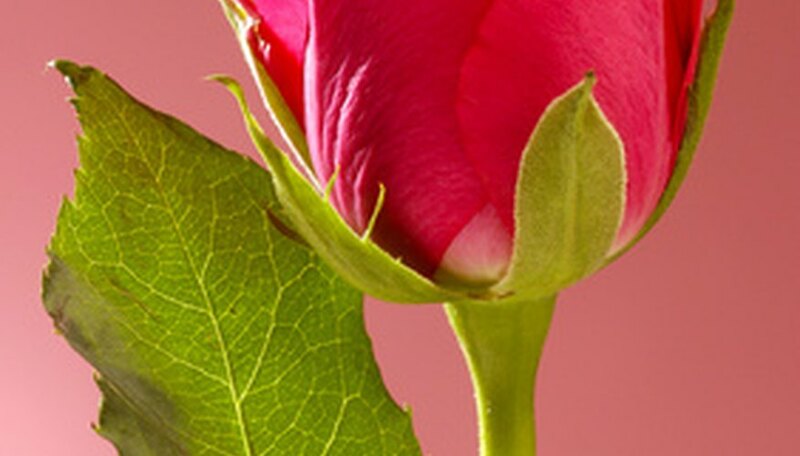 A rose has both male and female flower parts, making it what botanists call a perfect flower. One single non-hybrid rose can be self-fertile. It can be pollinated with its own pollen and develop viable seeds. Amateur rose growers who want to experiment with hybridizing their own roses should know the parts of a rose flower to better understand the seed development processes. A rose flower has two types of modified leaves, the sepals and the petals. Sepals are the protective green wrapper leaves that surround the flower bud as it develops. When the flower opens, the sepals turn backward, exposing the petals. As the petals unfurl, you can see that they are connected to the base of the flower where the sepals are also connected. 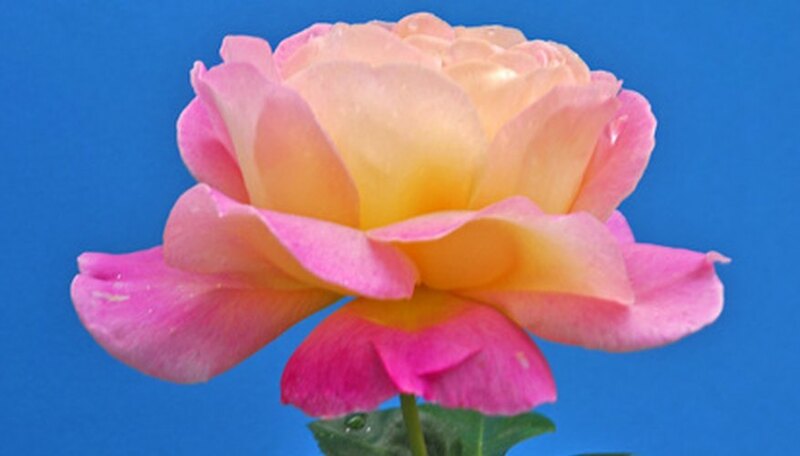 The petals are the fragrant parts of the rose flower, and they carry the color. Both fragrance and color are attractants to pollinating insects. The female flower structures are the parts of the pistil, as described in the Texas A&M University rosebreeding resource. The sticky pad that collects pollen, called the stigma, is at the opening of the style. The style is the hollow tube that the pollen grains travel down to reach the ovaries. Rose flowers actually have several ovaries that are arranged in a cluster at the base of the flower, with a style rising from each ovary. Ovules, or egg cells, are in each ovary; once pollinated, they develop into seeds. Male flower structures make up the parts of the stamen, according to Texas A&M University rosebreeding information. The filaments are the fibers that rise from the base of the stamen in a circular pattern around the center of the flower. Each filament carries one anther at its tip, where the pollen grains are located. Rose pollen is yellow. If you see brown anthers in the center of a rose, the pollen has been carried off by bees or wind. The hypanthium is the green, bulbous part at the base of the rose flower. The bases of the sepals, petals and stamens are fused together to make this protective covering which encloses the ovaries. A tiny opening at the top of the hypanthium allows the styles through. 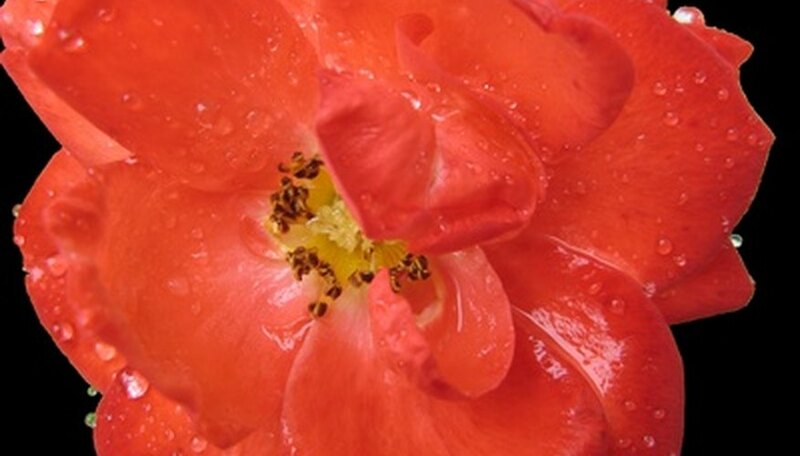 The stamen base of a rose flower is a flat disk at the top of the hypanthium. 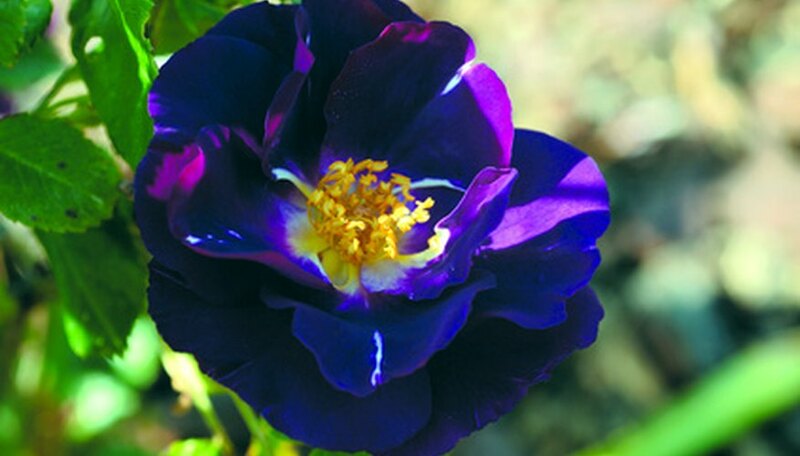 Photos by naturalist Jim Conrad, of Backyard Nature, clearly illustrate the hypanthium of a dissected rose flower.